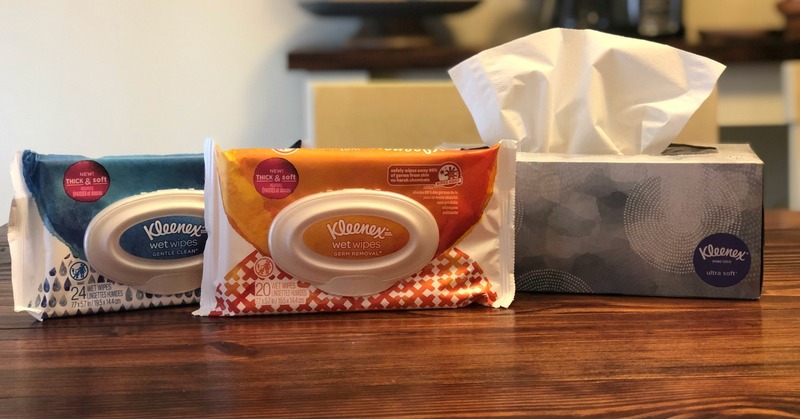 I am happy to see Kleenex back on our new Buy 6, Save $3 Kroger Mega Event. Not because I love colds but because I love stocking up on the Kleenex Wet Wipes (and the tissues). I have a four year old daughter (Kendra here) that LOVES to make messes (still!) and I am not sure what I would do without these Kleenex Wet Wipes. I love being able to add these 20-24 ct packages to my purse with ease because they are the perfect size. The Kleenex Wet Wipes Germ Removal also have come in handy many times when we are out and about and she has touched everything she shouldn't. NOW is the time to stock up on Kleenex for the end of the school year or maybe you want to just add a few boxes to your stock! I recently got a note asking for anyone that would like to send in a new box. I did this with our last big sale and I plan to do it again. 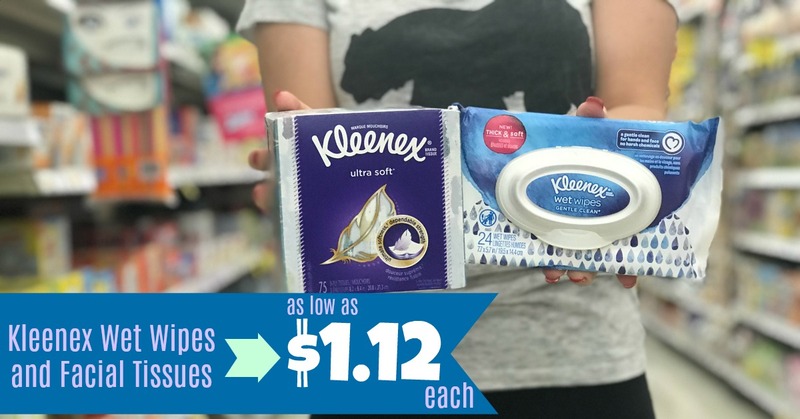 Single boxes and wipes are already an awesome stock-up price with our Kroger Mega Event priced between $1.29-$1.49 each (depending on your Kroger region). On top of this sale price we have a Kleenex coupon (listed in the scenario below) that will bring your cost down to as low as $1.12 each! Let's cross our fingers that another coupon or two will show up before the sale ends.